RHP Bryan Mata (6th BA, 8th MLB), OF Jarren Duran (12th BA, 10th MLB), RHP Kutter Crawford (22nd BA, 20th MLB), INF Pedro Castellanos (27th BA, 26th MLB), LHP Jhonathan Diaz (depth BA, 30th MLB), RHP Eduard Bazardo (depth BA), RHP Joan Martinez (depth BA), and INF Garrett Benge (depth BA). This year's roster represents four countries: Colombia, the Dominican Republic, Venezuela and the United States. Two Virginia natives will play for Salem, RHP Devon Fisher (Chesapeake) and OF Kyri Washington (Farmville). 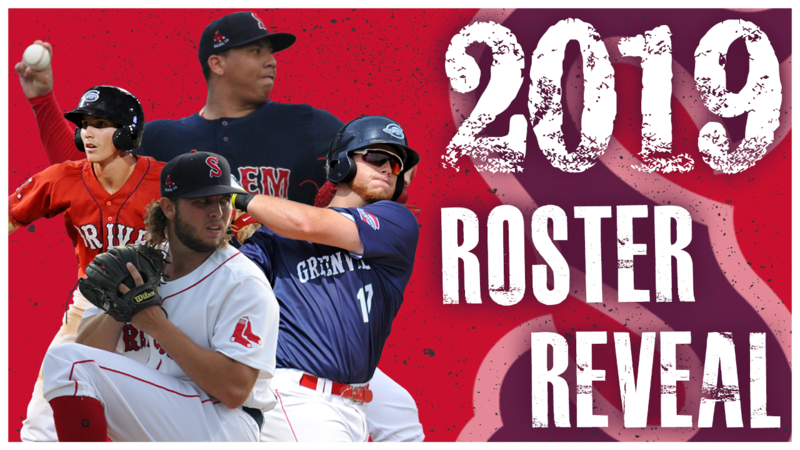 The Red Sox will begin the season April 4 against the Wilmington Blue Rocks in Wilmington, Delaware at 6:35 PM EST. Games will be available on MiLB TV, TuneIn Radio, ESPN 1430AM/94.1FM Blacksburg and ESPN 1240AM/93.3FM Roanoke.